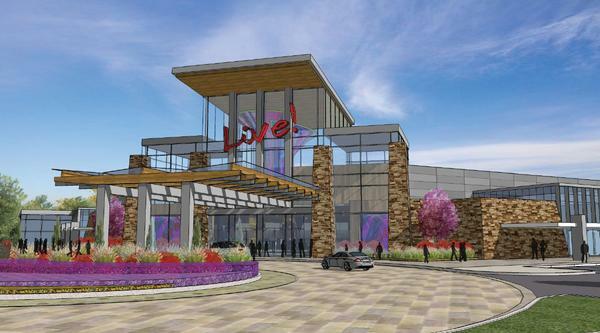 The Massachusetts Gaming Commission on Thursday approved Bolton’s petition to be designated a “surrounding community” in relation to the Cordish Company proposed slots casino to be located just off Route 117 in Leominster. It is an acknowledgement that the casino, if built, will likely have a significant impact on traffic in town, and it gives Bolton a strengthened hand in negotiating an impact agreement with the casino developer. The Commission’s traffic consultant noted “that it is conceivable that Route 117 in Bolton could provide access for 20% or more of the casino related trips.” That math works out to well over 500,000 additional vehicle trips passing through town annually. And the town’s petition argued that the real number could be even higher. Next steps: the town and the developer now have 30 days to negotiate an impact agreement or come to a deal through arbitration. Below is the full 75 page report from the Mass Gaming Commission, if you’d like to see all the detail. Selectman Larry Delaney argues before the Mass Gaming Commission that a proposed Leominster slots/entertainment complex will have a considerable impact upon Bolton and traffic on Route 117. The presentation is in support of Bolton’s petition to be designated a “surrounding community” by the Massachusetts Gaming Commission in order to attempt to negotiate a more favorable impact agreement with The Cordish Company, the developer. The Board of Selectmen is meeting tomorrow evening (Tuesday, 11/12) in a special session with a single agenda item: “Update on Cordish Company proposal.” This innocent sounding agenda item is in fact very important to the future of the town and needs immediate attention. The purpose of the meeting is to formulate a response to the Cordish Company proposal to the town for payments in compensation for costs and other inconveniences that the town could suffer as a result of the entertainment and slots casino the company hopes to locate at the intersection of Route 117 and Route 190 in Leominster. 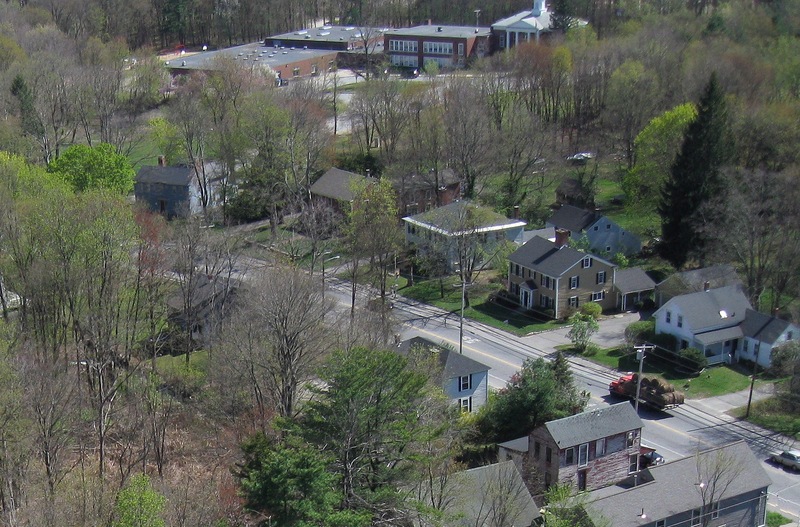 Lancaster Selectmen approved an “impact agreement” for their town last Friday afternoon. The casino proposed by the company is a significant complex, one of three proposals vying for a single available slots license from the state. The other proposed slot casinos are located in Raynham and Plainville. The expected investment in the Leominster location tops $200 million. The initial phase includes a 125,000 square foot facility housing 1,200 slots, 3 restaurants, retail shops, a 400+ seat theatre, and nearly 1,000 parking spaces. The facility is expected to operate 24/7. The theatre itself is anticipated to feature entertainment 6-7 nights a week. The company projects 2.4 million visitors annually. The major immediate impact to Bolton would of course be traffic and the associated public safety challenges. A major issue in the negotiations is exactly how much traffic and other side effects are anticipated. 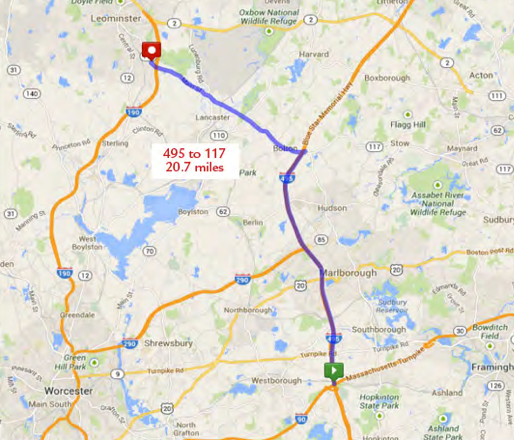 The company believes that approximately 11% of all visitors will approach the casino via Route 117 from the east, and that the vast majority of those coming from Boston and points east will arrive via Routes 2 and 190. According to a story published in the Worcester Telegram on October 17, 2013, the Cordish Company president “dismissed local traffic concerns,” saying there would be “no detectable increase in traffic on local secondary and tertiary roads, that 190 would handle almost all traffic to and from the facility.” Local knowledge, a look at the map, and common sense would indicate otherwise. Most traffic coming from Boston and points east and southeast will of course travel on the Mass Pike (not Route 2) to 495 to 117, funneling through Bolton and Lancaster. 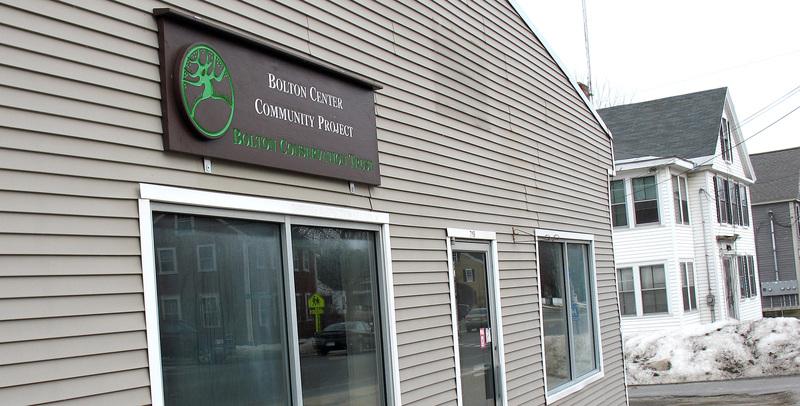 Bolton recently filed a petition to the Massachusetts Gaming Commission seeking “surrounding community” status in order to negotiate more favorable terms with the casino developer. In the petition, the town indicates that it will be “significantly and adversely affected” by the proposed complex. 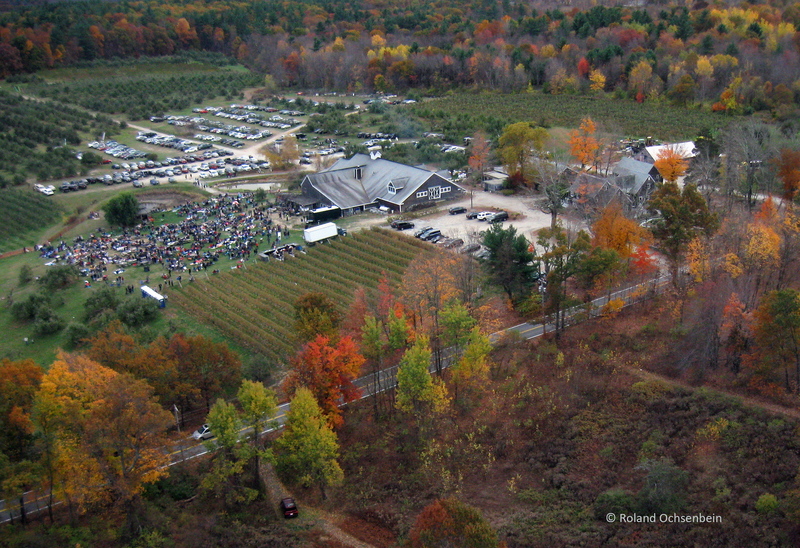 The petition further states that the town estimates that 30%-45% of all arriving traffic to the casino will travel Route 117 through Bolton to get there (not the 11% the company estimates). That could equate to 1 million additional people traversing the town on Main Street west of 495 annually. Let me say that again—1 million additional travelers on Route 117 a year. In the end, I’m not sure how one quantifies in dollars the impact that this would have on Bolton and its Main Street, lined as it is with homes, schools and troublesome intersections, and already a severe chokepoint to commuters and locals alike. There are a lot of moving parts going on here and decisions are being made quickly. I’m only skimming the surface of all this. There is of course also the chance that this slot parlor will never be built at all as the Gaming Commission could award the license to one of the other two proposals. But if it does come to pass, it will change Bolton forever, no doubt about it. It’s important to pay attention to what is going on and to make your voice heard to the Selectmen and town and state officials on this. Looking toward Memorial Field and town center. If you plan to march down Mechanic Street in the Halloween Parade on Saturday, take note. 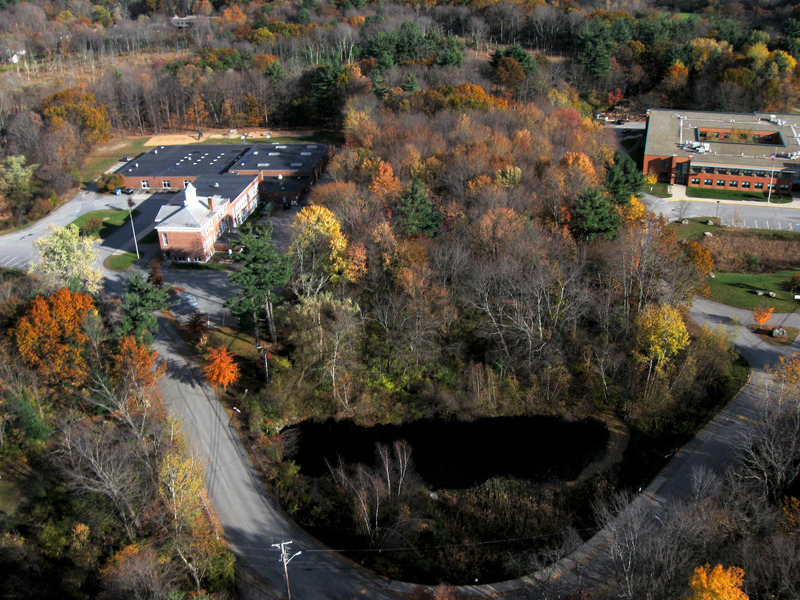 There is something creepy about those woods between Emerson School and Florence Sawyer School. Do you see the face? Main Street, Bolton, MA April 20, 2012.